Calm and elegant are the first words that pop to mind when looking at these images. These are my two favourites spaces in designer, Athena Calderone's Brooklyn penthouse apartment. 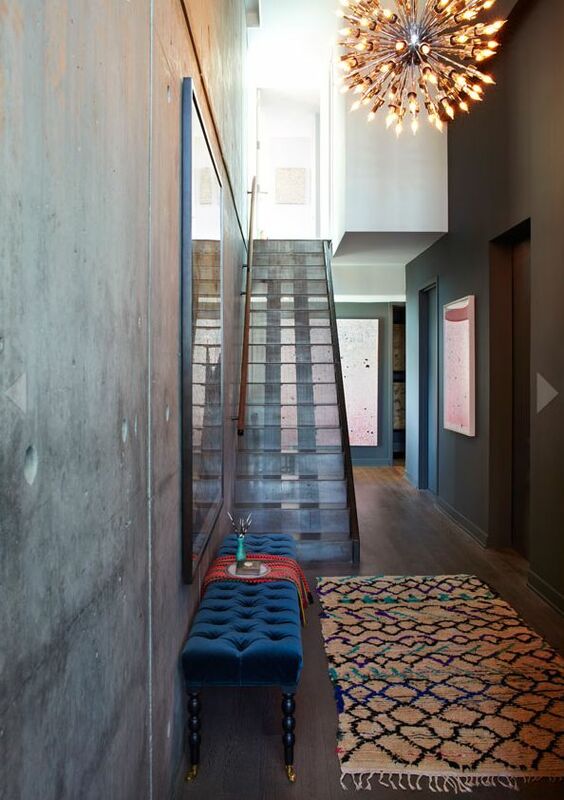 The tufted bench seat is glorious and so are the cement walls! I love exposed walls, high ceilings and lots of light. 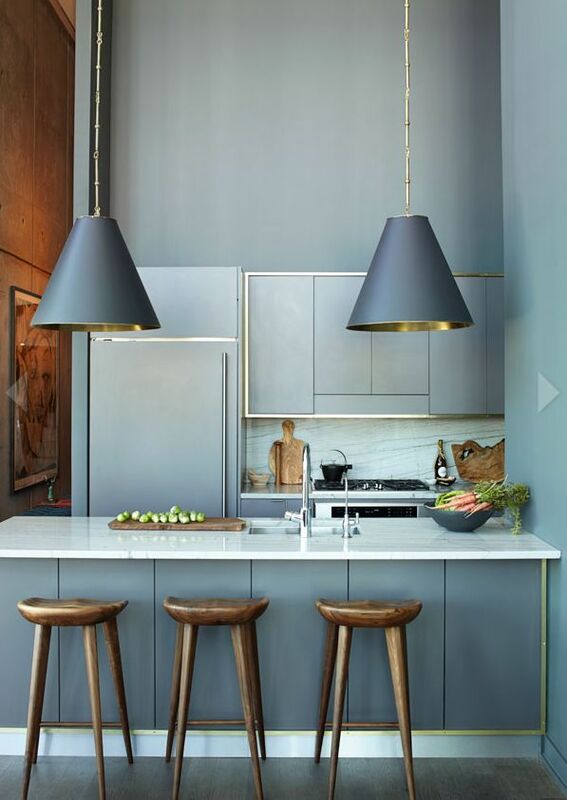 Those kitchen stools - gorgeous!